We sit. We sit in chairs. Chairs are easy to take for granted but are fascinating. Chairs are everywhere we go, with infinite variations. At the same time, those variations and changes hold so much meaning. 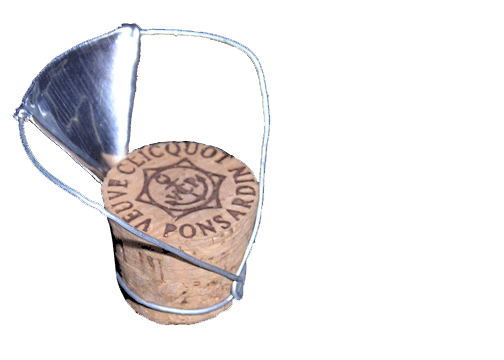 As a primarily western cultural symbol, a chair has social and cultural meaning. Chairs can communicate status and lifestyle, emotion and comfort. The word “chair” itself can be a metaphor for a respected position, such as “chairperson” or “county seat.” The spaces we inhabit are shaped by our seating. Consider the difference in chair arrangement between a classroom, waiting room, conference room, and living room. The way chairs are organized is related to how people would like to communicate in different settings. Different tasks require different chairs. Humans constantly change position, shifting around while sitting in chairs. Ergonomics is very important if a chair is to be occupied comfortably. Throughout history, chair design has continued to change, reflecting new technologies and materials, trends in aesthetics and society, and ideas about ergonomics. Early modernists said “form follows function,” yet many chairs designed in the twentieth century were primarily sculptural. Both ideas are important. Line, proportion, shape, material, decoration, and craftsmanship all need to be considered. As a designer, what will you chose to communicate with your chair design? What function will your chair accommodate? Who will occupy it? What will be beautiful about it? Activity 1 – design a fun chair! We, as humans, like to sit. We sit for different reasons. Sometimes we sit to rest and get off our feet. Sometimes we sit to do a task. Sometimes we sit to socialize. 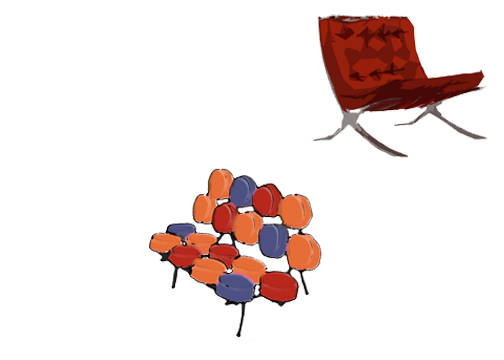 For this activity, design a chair that is fun to sit in! Search around your classroom and at home for pieces of unused material. Look for anything unusual: small scraps of wood, cloth, paper, wire, leather or even plastic! Think about how you can stitch these materials into the form of a chair or a new way of sitting. How can the materials inform how the chair looks? How will they influence how the chair feels to the touch? How can they inform the form of the chair? How can your materials encourage a new way of sitting. Take a look at Take a Seat, Make A Friend to rethink sitting as a social event. In public spaces, seating is important. A place to sit is a welcome sight when you have been on a long walk or are waiting to meet someone, especially for the elderly or small children. 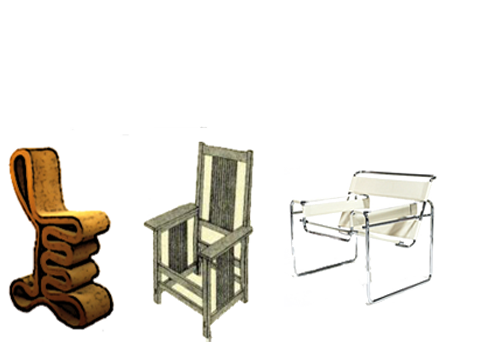 Sketch your design for a pedestrian chair or build a small model. What kind of location is your chair for? Consider parks, bus stops, or other places people may be waiting. Is it permanent or movable? Is it inexpensive so that it can be installed in many locations across town? How many people does it seat? Be sure to consider the material, as it will be outside in all kinds of weather. Chairs come in many different shapes and sizes. Design three chairs: one for a child, one for a middle-aged adult, and one for an elderly person. Consider ergonomics in your design. How does the shape and size of a person’s body affect how a chair feels and fits? Photograph or find images of three good chair designs and three bad chair designs. Describe why you selected these chairs and why you feel they are good or bad designs. In your description, note what you think the chair designer had in mind when designing. Was the designer considering cost to be the most important? Aesthetics? Material? Function? Activity 5 – Design a Digital Chair! You have had the opportunity to sit in a lot of chairs, you have looked at chair history and have modeled chairs. 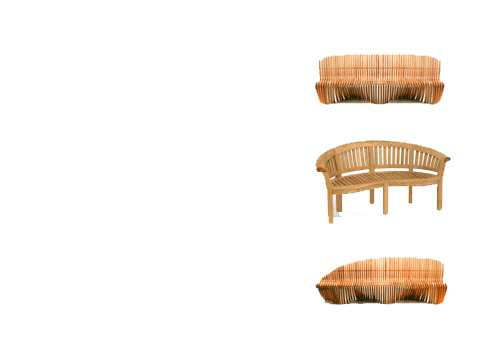 Now try your hand at digitally modeling a chair. Watch a SketchUp Chair Demo and then open SketchUp on your computer and follow along. Once you have copied the construction of the Sketch Up chair, experiment with modeling your own. Remember though, that all chairs digitally modeled, still need to be built, prototyped and tested during the design process! Ask your teacher to provide you with sheets of cardboard. Make a team of at least two students. 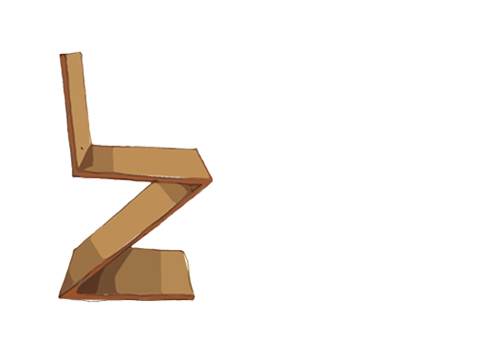 Give yourself some time to brainstorm how you can use cardboard to create a chair that he or she can sit it. You can use cardboard and glue, a mat knife and cutting boards to make your chair. Be sure to think about strength, structure, function, and fun! You can make small models first to study how they will support weight. Think about brainstorming ideas, conceptualizing how to build it, cutting the pieces, and then putting it together in 3 hours or less! Don’t forget to test it several times! 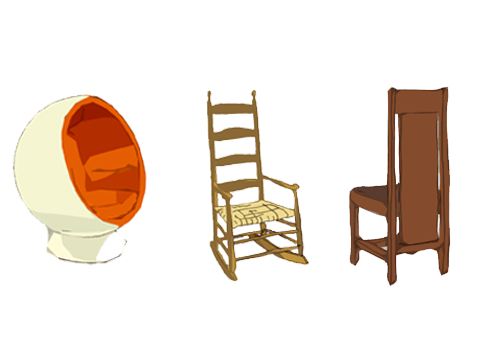 Activity 7 – Design a Rocking Chair! Some chairs move back and forth when you are sitting in them. These are called rocking chairs or gliders. Rocking in a chair is comforting to many, especially parents holding a baby. Rocking is a nice way to sit in a chair but still be moving. Design a rocking chair that rocks! Activity 8 – Design A Recliner! Some chairs are adjustable so that a person can lie down. These chairs are called recliners or sometimes chaise loungers. They are popular on the beach, on a sunporch or poolside. Design an adjustable recliner and relax and take a nap! Chair designers always follow the rule "form follows function". The Sitting Machine: Enrichment Club Pursues Design of a Cardboard Chair!